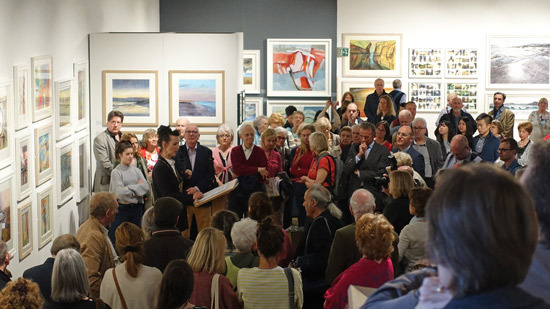 The Call for Entries opened last month for the 206th Exhibition of the Royal Institute of Painters in Water Colours (RI) at the Mall Galleries in April 2018. The deadline for entries is 5 January 2018. The RI was founded in 1831 to exhibit the best in watercolour painting and to show non-members’ works alongside that of members, a policy still followed today. The open entry generated 1,090 entries from 489 artists (c.2.2 paintings per artist). 389 paintings by both members and other artists were hung on the walls of all three galleries. 142 of the works (36%) were by 98 non-member artists (1.45 paintings each) were selected and hung in the exhibition. In summary, both members of the Royal Institute of Painters in Water Colours and other artists are invited to submit painting for consideration. The deadline for entries is Noon on the 5 January 2018. The entry fee is £15 per work payable at the time of submitting (£10 per work for artists aged 35 or under). Details of how artists can apply via the open entry process are set out below. The 206th Exhibition will be held at the Mall Galleries between Friday 6 April and Saturday 21 April, 1pm (10am - 5pm every day) - so just over two weeks. Any artist - over the age of 18 - living anywhere in the world can submit work in water-soluble media to this exhibition. Number: You can submit a maximum of six works - of which a maximum of four works selected. Typically it's candidates for membership who submit a large number of paintings. Media: Artwork in watercolour or water-soluble mediums, including watercolour, acrylic, ink or gouache (excluding water-soluble oils) are eligible for exhibition. Size: Works must not be larger than 2.4m high and 1.5m wide. The selectors' decisions are final and no feedback is offered. These are the key dates for all those wishing to submit work to this open exhibition. Artists sending work from abroad should use a picture carrier. There are a number of prizes - and prizes look very good on your CV when you are seeking representation with an art gallery! The James Fletcher-Watson RI Memorial Award: £500 for the best use of watercolour in the exhibition. 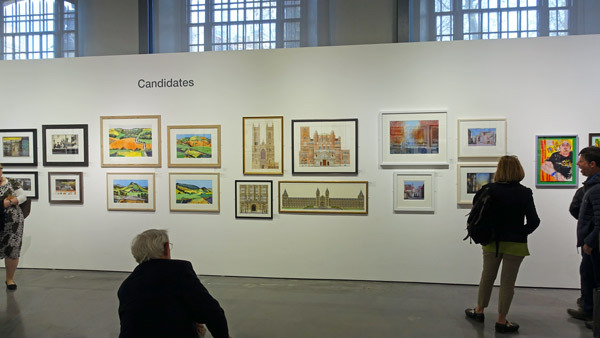 Annual Exhibition of Royal Institute of Painters in Water Colours 26 Mar 2015 - Review of statistics for the open entry to the 203rd Annual Exhibition of Royal Institute of Painters in Water Colours and paintings I liked. This exhibition has always been very popular with the provincial art societies whose members arrive in droves - on coaches!